On February 1st, NVIDIA released a new developer beta driver, which fixes a couple of issues with their Vulkan API implementation. Unlike what some sites have been reporting, you should not download it to play games that use the Vulkan API, like DOOM. In short, it is designed for developers, not end-users. The goal is to provide correct results when software interacts with the driver, not the best gaming performance or anything like that. In a little more detail, it looks like 376.80 implements the Vulkan 1.0.39.1 SDK. This update addresses two issues with accessing devices and extensions, under certain conditions, when using the 1.0.39.0 SDK. 1.0.39.0 was released on January 23rd, and thus it will not even be a part of current video games. Even worse, it, like most graphics drivers for software developers, is based on the old, GeForce 376 branch, so it won’t even have NVIDIA’s most recent fixes and optimizations. NVIDIA does this so they can add or change the features that Vulkan developers require without needing to roll-in patches every time they make a "Game Ready" optimization or something. There is no reason to use this driver unless you are developing Vulkan applications, and you want to try out the new extensions. It will eventually make it to end users... when it's time. If you are wishing to develop software using Vulkan’s bleeding-edge features, then check out NVIDIA’s developer portal to pick up the latest drivers. Basically everyone else should use 378.49 or its 378.57 hotfix. Over the holidays, Microsoft has published the DirectX Shader Compiler onto GitHub. The interesting part about this is that it outputs HLSL into DirectX Intermediate Language (DXIL) bytecode, which can be ingested by GPU drivers and executed on graphics devices. The reason why this is interesting is that DXIL is based on LLVM, which might start to sound familiar if you have been following along with The Khronos Group and their announcements regarding Vulkan, OpenCL, and SPIR-V.
As it turns out, they were on to something, and Microsoft is working on a DirectX analogue of it. The main advantage of LLVM-based bytecode is that you can eventually support multiple languages (and the libraries of code developed in them). When SPIR-V was announced with Vulkan, the first thing that came to my mind was compiling to it from HLSL, which would be useful for existing engines, as they are typically written in HLSL and transpiled to the target platform when used outside of DirectX (like GLSL for OpenGL). So, in Microsoft’s case, it would make sense that they start there (since they own the thing) but I doubt that is the end goal. The most seductive outcome for game engine developers would be single-source C++, but there is a lot of steps between there and here. Another advantage, albeit to a lesser extent, is that you might be able to benefit from performance optimizations, both on the LLVM / language side as well as on the driver’s side. According to their readme, the minimum support will be HLSL Shader Model 6. This is the most recent shading model, and it introduces some interesting instructions, typically for GPGPU applications, that allow multiple GPU threads to interact, like balloting. Ironically, while DirectCompute and C++AMP don’t seem to be too popular, this would nudge DirectX 12 into a somewhat competent GPU compute API. DXIL support is limited to Windows 10 Build 15007 and later, so you will need to either switch one (or more) workstation(s) to Insider, or wait until it launches with the Creators Update (unless something surprising holds it back). One of the most popular video game engines, Unity, has released a beta for Unity 5.6, which will be the last version of Unity 5.x. This release pushes Vulkan into full support on both desktop and mobile, which actually beats Unreal Engine 4 on the desktop side of things. Specifically, Vulkan is available for the Android, Windows, Linux, and Tizen operating systems. Apple users should be happy that this version also updates Metal for iOS and macOS, but Apple is still preventing vendors from shipping Vulkan drivers so you really shouldn’t feel too happy. At Unity’s Unity 2016 keynote, the company claimed about 30-60% better performance on the new API “out-of-the-box”. I do find this statement slightly odd, though, because Unity doesn’t really provide much access to “the box” without expensive source code up-sells. The most user involvement of the engine internals, for what I would assume is the majority of projects, is buying and activating a plug-in, and Vulkan would be kind-of crappy to hide behind a pay wall. I mentioned that this will be the last Unity 5.x version. While the difference between a major and a minor version number tends to be just marketing these days, Unity is changing their major version to align with the year that it belongs to. Expect future versions, starting with a beta version in April, to be numbered 2017.x. Unity 5.6 comes out of beta in March. About half of a year ago, LibRetro added Vulkan support to their Nintendo 64 renderer. This allowed them to do things like emulate the console’s hardware rasterization in software, and do so as an asynchronous shader, circumventing limitations in their OpenGL path trying to emulate the console’s offbeat GPU. They have now turned their sights (“for the lulz”) to the original PlayStation, creating a Vulkan back-end for emulators like Beetle PSX. The fairly long blog post discusses how the PlayStation is designed in detail, making it an interesting read for anyone curious. One point that I found particularly interesting is how the video memory is configured as a single, 1MB, 2D array (1024x512x16-bit). At this time, texture resolution was quite small, and frame buffers were between 256x224 and 640x480, so that’s a lot of room to make a collage out of your frame and all textures in the scene, but it’s still odd to think about a console imposing such restrictions now that we’re spoiled by modern GPUs. In terms of performance, the developer claims that modern GPUs can handle 8k resolutions with relative ease, and four-digit FPS at lower resolutions. Every couple of months, Epic Games drops a new version of Unreal Engine 4 with improvements all over. As such, you should check the full release notes to see all of the changes, including the fifty-one that Epic thinks are worth highlighting. Here are some that I think our readers would enjoy, though. First, Vulkan support for mobile devices has apparently moved out of experimental. While this will not be enabled for desktop applications, it's interesting to note that DirectX 12 is still in experimental. Basically, if you squint and put blinders on, you could sort-of see some element of Vulkan beating DirectX 12 to market. Second, Unreal Engine 4 has significantly upgraded their forward renderer. In a lot of cases, a deferred renderer is preferable because it's fast and consistent; the post-process shader only run once per output pixel, ignoring lighting triangles that are covered by other triangles. The way this is structured, though, makes multisample anti-aliasing impossible, which is slightly annoying on desktop but brutal in VR. As an added benefit, they're also using forward shading to help the deferred renderer with translucent materials. 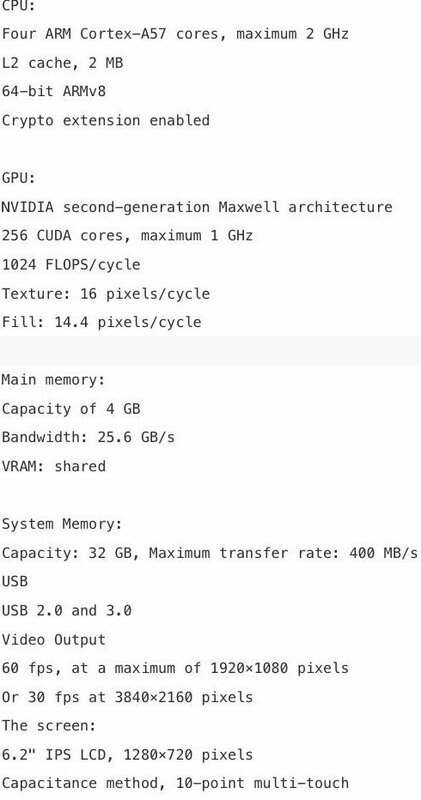 Unreal Engine typically uses a lot of NVIDIA SDKs. This version updates PhysX up to 3.4, which allows “continuous collision detection” on rigid bodies. This means that fast moving object shouldn't pass through objects without colliding, because the collision occurred between two checks and was missed, if this feature is enabled. They are also adding the Ansel SDK, which allows players to take high-detail screenshots, as a plug-in. Skipping down the release notes a bunch, Unreal Engine 4.14 also adds support for Visual Studio 15, which is the version after Visual Studio 2015 (Visual Studio 14.0). Both IDEs are, in fact, supported. It's up to the developer to choose which one to use, although Visual Studio 15 makes a lot of improvements regarding install and uninstall. Finally, at least for my brief overview, Unreal Engine 4.14 begun to refactor their networking system. It sounds like the current optimizations are CPU-focused, but allowing more network-capable objects is always a plus. Epic Games claims they are benchmarking about 40% higher performance in this area. Beginning in the first half of next year, Feral Interactive plans to release software running on the Vulkan API. Feral is one of the three well known Linux port developers, the other two being Aspyr Media and an independent contractor, Ryan C. Gordon, who convert Windows games under some deal with the original creators. They didn't claim which game would be first. Deus Ex: Mankind Divided will be initially released on OpenGL, but people are speculating that, since its rendering back-end is set up to efficiently queue DirectX 12 tasks, which is the same basic structure that Vulkan uses, Feral might release a patch to it later. Alternatively, they could have another title in the works, although I cannot think of anything short of DOOM that would fit the bill, and there has been nothing from Bethesda, id, or Feral to suggest that is leaving Windows. Maybe Tomb Raider? Whatever it is, we're beginning to see more than just engine developers port software to the new graphics APIs, and on multiple platforms, too.